First, Ted Simmons decked a Cubs player. Then, he delivered a knockout punch to the entire Chicago team. On Sept. 22, 1974, at St. Louis, Simmons slugged Cubs batter Bill Madlock, setting off a melee. Soon after, Simmons got the game-winning hit, carrying the Cardinals to a crucial victory over their archrival. 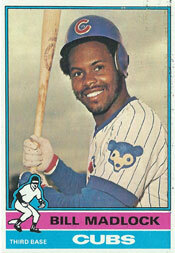 In the ninth inning, with the score tied at 5-5, Madlock led off against reliever Al Hrabosky. When the Cardinals closer stepped off the mound, turned his back on the batter and went into his routine of psyching himself for the confrontation, Madlock backed away and walked toward the on-deck circle. After Madlock returned to the batter’s box, Hrabosky exited the mound again. Madlock responded by walking back to the on-deck circle. Cubs manager Jim Marshall and Jose Cardenal, the Cubs’ on-deck batter, rushed toward the umpire, protesting what they considered delay tactics by Hrabosky. Whirling away from Marshall and Cardenal, Crawford strode back toward the plate. With Marshall and Cardenal in pursuit, the umpire positioned himself behind the catcher, Simmons, and motioned to Hrabosky to make a pitch. Hrabosky obliged and, with no one in the batter’s box, fired a high fastball that was called a strike. Simmons rifled the ball back to Hrabosky and the pitcher quickly prepared to make another delivery. Alarmed, Cardenal waved frantically to Madlock to get into the batter’s box. Cardenal, fearing Madlock wouldn’t arrive in time, took a batting stance at the far end of the box. As he did, Madlock rushed into the box and took his stance in front of Cardenal, giving the Cubs two batters in the box, both with bats cocked, prepared to swing. In his haste, Madlock brushed Simmons with the bat as Hrabosky’s fastball crossed the plate. Simmons landed a punch to Madlock’s chin. “I must have hit him pretty good,” Simmons said to the Post-Dispatch. “I cut my knuckles.” The benches emptied and fighting ensued. You can see a video of the incident by playing the first 1:05 of this You Tube clip. When order was restored, only Marshall was ejected because he complained to Crawford about Simmons remaining in the game. “I don’t think players should be thrown out for fighting,” Crawford told the Chicago Tribune. Hrabosky said the fight “really psyched me up. It was just what the doctor ordered.” Hrabosky struck out Madlock and got Cardenal to pop out to Simmons before striking out pitcher Dave LaRoche. The emotional triumph gave the division-leading Cardinals a 1.5-game advantage over the second-place Pirates with nine games remaining.